Letter from Cherokee Chief John Ross "To the Senate and House of Representatives"
It is well known that for a number of years past we have been harassed by a series of vexations, which it is deemed unnecessary to recite in detail, but the evidence of which our delegation will be prepared to furnish. With a view to bringing our troubles to a close, a delegation was appointed on the 23rd of October, 1835, by the General Council of the nation, clothed with full powers to enter into arrangements with the Government of the United States, for the final adjustment of all our existing difficulties. The delegation failing to effect an arrangement with the United States commissioner, then in the nation, proceeded, agreeably to their instructions in that case, to Washington City, for the purpose of negotiating a treaty with the authorities of the United States. After the departure of the Delegation, a contract was made by the Rev. John F. Schermerhorn, and certain individual Cherokees, purporting to be a "treaty, concluded at New Echota, in the State of Georgia, on the 29th day of December, 1835, by General William Carroll and John F. Schermerhorn, commissioners on the part of the United States, and the chiefs, headmen, and people of the Cherokee tribes of Indians." A spurious Delegation, in violation of a special injunction of the general council of the nation, proceeded to Washington City with this pretended treaty, and by false and fraudulent representations supplanted in the favor of the Government the legal and accredited Delegation of the Cherokee people, and obtained for this instrument, after making important alterations in its provisions, the recognition of the United States Government. And now it is presented to us as a treaty, ratified by the Senate, and approved by the President [Andrew Jackson], and our acquiescence in its requirements demanded, under the sanction of the displeasure of the United States, and the threat of summary compulsion, in case of refusal. It comes to us, not through our legitimate authorities, the known and usual medium of communication between the Government of the United States and our nation, but through the agency of a complication of powers, civil and military. By the stipulations of this instrument, we are despoiled of our private possessions, the indefeasible property of individuals. We are stripped of every attribute of freedom and eligibility for legal self-defence. Our property may be plundered before our eyes; violence may be committed on our persons; even our lives may be taken away, and there is none to regard our complaints. We are denationalized; we are disfranchised. We are deprived of membership in the human family! We have neither land nor home, nor resting place that can be called our own. And this is effected by the provisions of a compact which assumes the venerated, the sacred appellation of treaty. We are overwhelmed! Our hearts are sickened, our utterance is paralized, when we reflect on the condition in which we are placed, by the audacious practices of unprincipled men, who have managed their stratagems with so much dexterity as to impose on the Government of the United States, in the face of our earnest, solemn, and reiterated protestations. The instrument in question is not the act of our Nation; we are not parties to its covenants; it has not received the sanction of our people. The makers of it sustain no office nor appointment in our Nation, under the designation of Chiefs, Head men, or any other title, by which they hold, or could acquire, authority to assume the reins of Government, and to make bargain and sale of our rights, our possessions, and our common country. And we are constrained solemnly to declare, that we cannot but contemplate the enforcement of the stipulations of this instrument on us, against our consent, as an act of injustice and oppression, which, we are well persuaded, can never knowingly be countenanced by the Government and people of the United States; nor can we believe it to be the design of these honorable and highminded individuals, who stand at the head of the Govt., to bind a whole Nation, by the acts of a few unauthorized individuals. And, therefore, we, the parties to be affected by the result, appeal with confidence to the justice, the magnanimity, the compassion, of your honorable bodies, against the enforcement, on us, of the provisions of a compact, in the formation of which we have had no agency. Recommended Reading: John Ross, Cherokee Chief. Description: John Ross is one of the most revered Cherokee chiefs... it is impossible to understand the Cherokee Nation and its people without the study of Ross. Author Gary Moulton gives splendid insight into the life and times of one of the most complex and often misunderstood American Indians—Cherokee Chief John Ross. Ross, a 1/8th Cherokee and 7/8th Scotsman, and framer of the Cherokee Tribal government, was well-known for his harsh protest of the controversial 1835 Treaty of New Echota. Moulton does justice by presenting the Ross position and the outcome that spawned a bloody-factional Cherokee feud--which continued into the American Civil War. Moulton’s insight also includes recollections and the death of Ross in 1866. 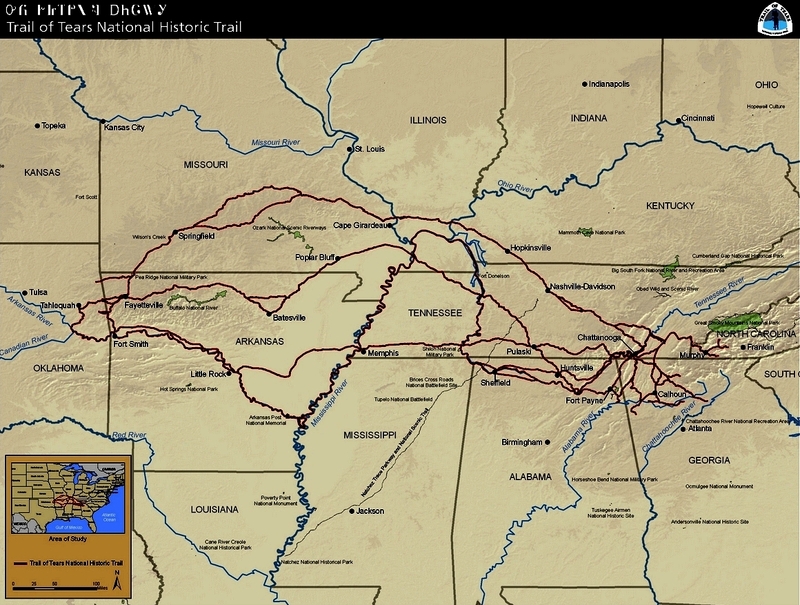 The Cherokee Nation and the Trail of Tears recounts this pivotal moment in American history and considers its impact on the Cherokee, on U.S.-Indian relations, and on contemporary society. 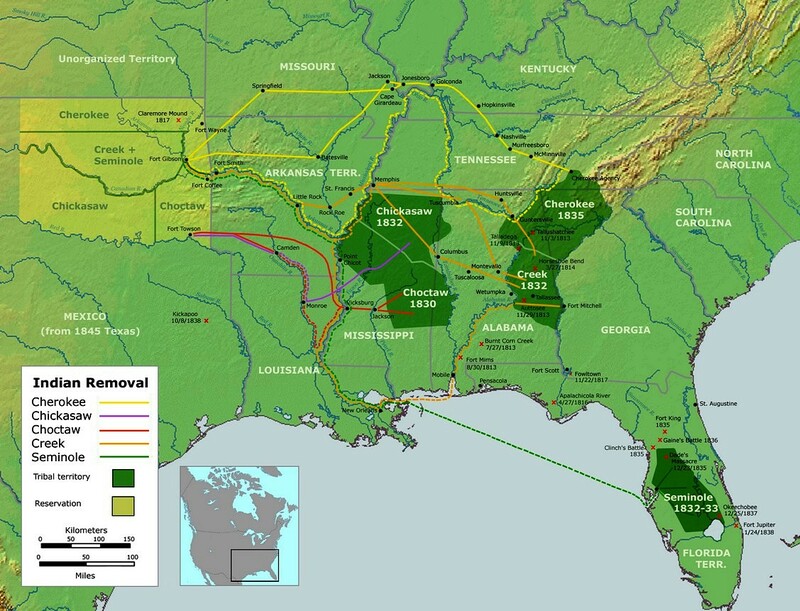 Guggenheim Fellowship-winning historian Theda Perdue and coauthor Michael D. Green explain the various and sometimes competing interests that resulted in the Cherokee’s expulsion, follow the exiles along the Trail of Tears, and chronicle their difficult years in the West after removal.